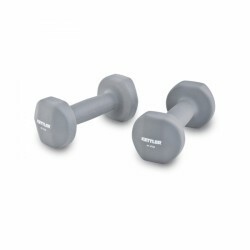 High-quality aerobic dumbbells at a special price! 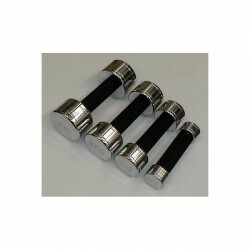 Chrome dumbbells with comfortable grip. Die original Pumpset! 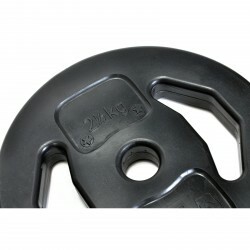 weight plates is the ideal addition to the original Bodypump set! They are easy to handle thanks to their plastic coating. Furthermore, they protect the floor and reduce noise during the workout. Fully covered in plastic: Low-noise exercise and protection of the floor. This weight is very popular in aerobics and functional training. The Lebert SRT barbell is equipped with additional springs on the grip bar. Thus more muscles need to be demanded, when you want to do exercises with wide or narrow grip: more muscles = more success! 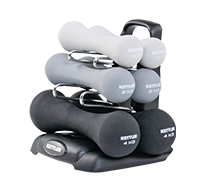 The Togu Stonie Weight Balls are ideal for applications where dumbbells are usually used. Make your daily life more active with the Life Fitness weighted ball InMovement. Life Fitness InMovement's target is to make your partially monotonous daily life more active. 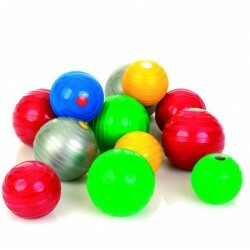 The weighted balls or weighted hand balls are filled with vinyl balls for massaging your muscle parts or for training your grip strength. 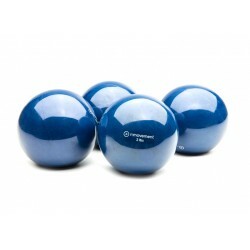 Being similar to a stress ball, you can move the weighted ball freely in your hand in everyday life. Every movement of the daily life makes it healthier and supports your health. In general, aerobics weights are lighter than common weights. They are the ideal accessory for aerobics training, because they provide additional training stimulations. 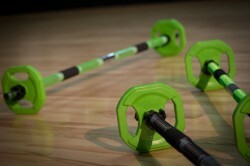 The training weights are especially good for strength-stamina training. Aerobics weights are available as dumbbells and barbells. Due to their lower weight, they are the ideal training companion. Many models have a much improved training comfort, i.e., with padded handles. 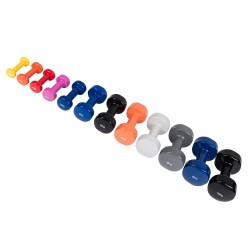 When you do very quick movements with the arms, you should mind that it has a handle strp when you buy aerobics weights. Thus the weight does not slip off your hand even during intensive workouts. It is ideal, when you go for workout to the gym or exercise in a group!